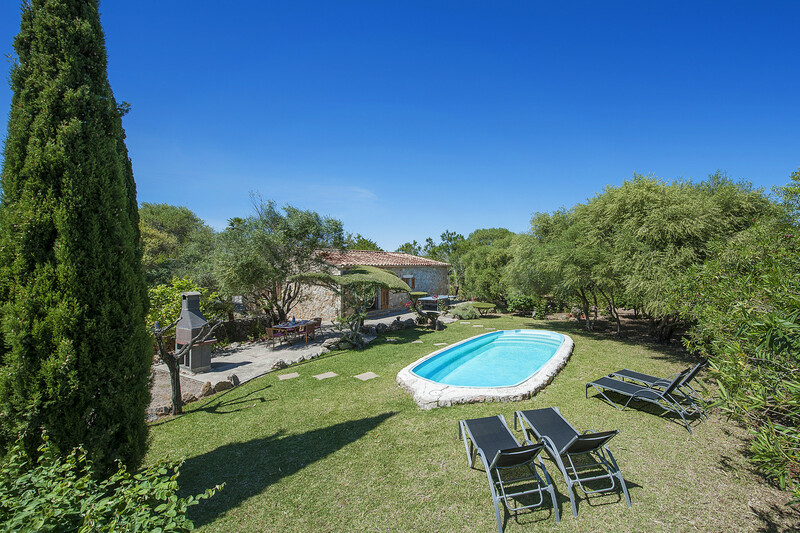 This Ideal countryside villa is fit for couples or small families. 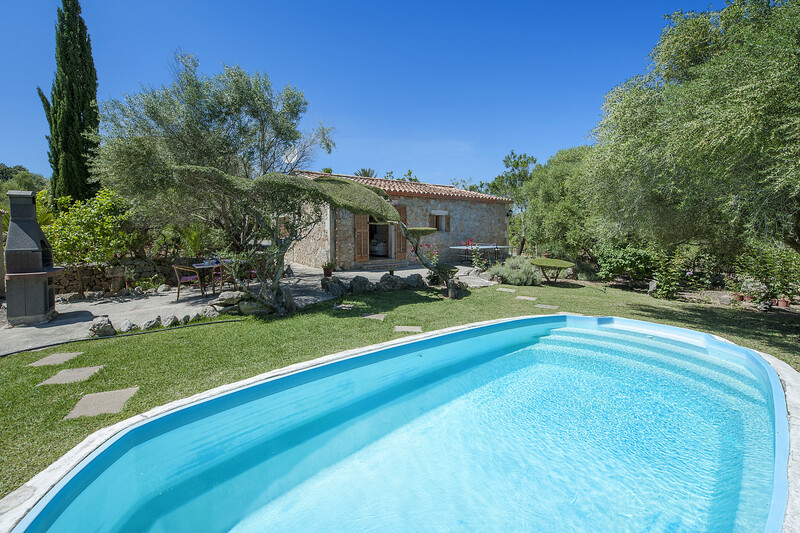 An enchanting and pretty villa built with traditional local stone. 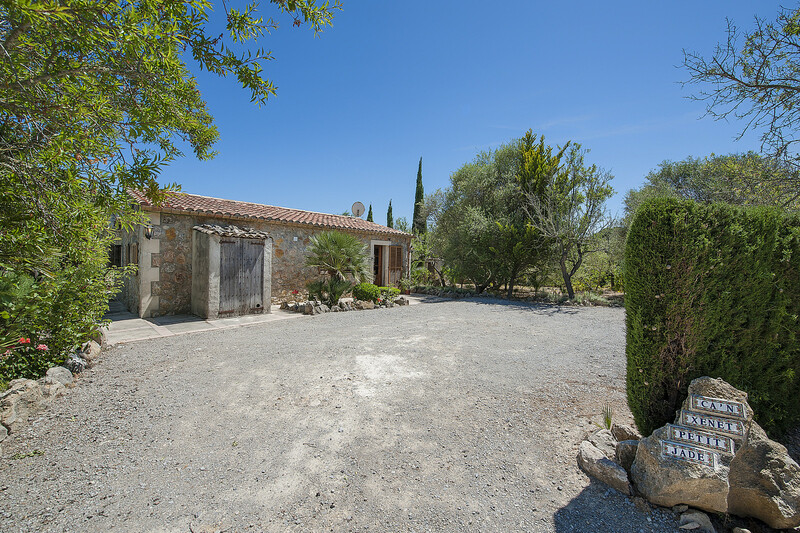 It is situated in the heart of the countryside mid-way along the road that leads from old town Pollensa to Alcudia which allows the villa to have easy access to both,also the villa is not far from the stunning white beaches and turquoise sea of Alcudia or the beautiful three cove beaches of Cala St. Vincent. 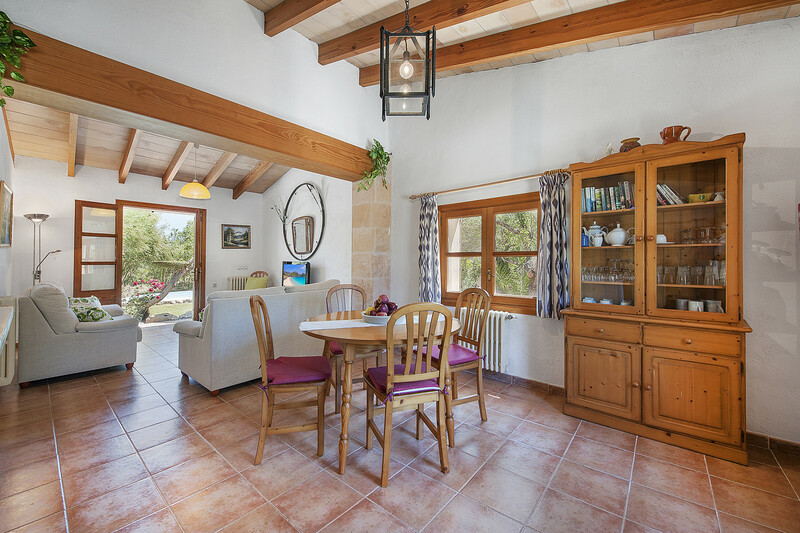 The front door opens into a spacious open-plan dining, kitchen and lounge. 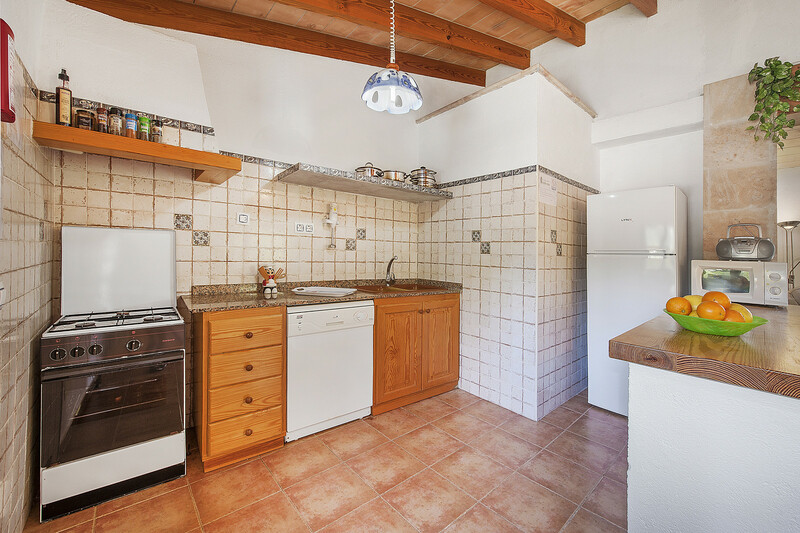 On entry is the dining area and to the left of the dining is a fully fitted kitchen with its breakfast bar. 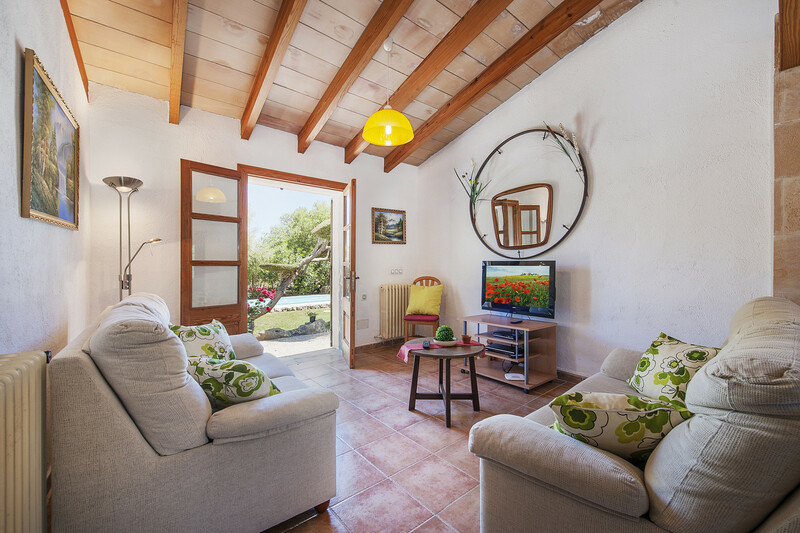 In front of the dining and kitchen area it leads through to the delightful lounge with patio doors opening out onto a terrace and direct access to the nice pool area. 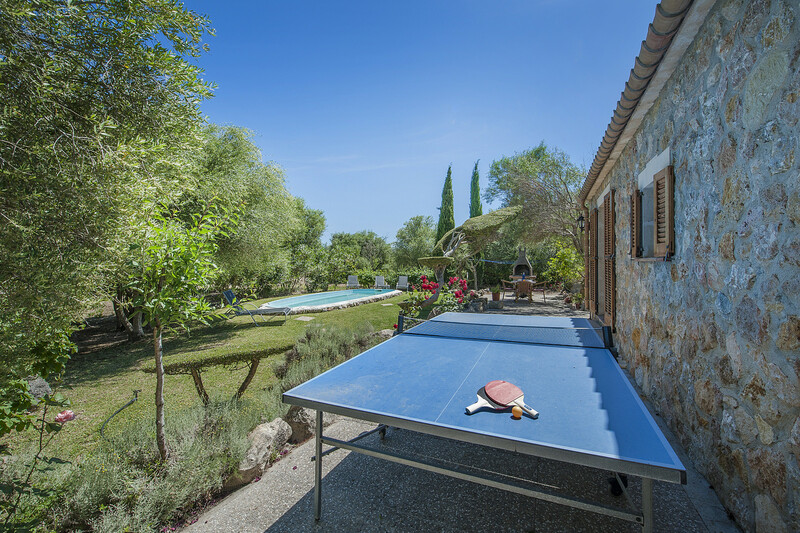 The pool and gardens can be viewed from both the dining and lounge area, 'ideal for keeping an eye on children'. 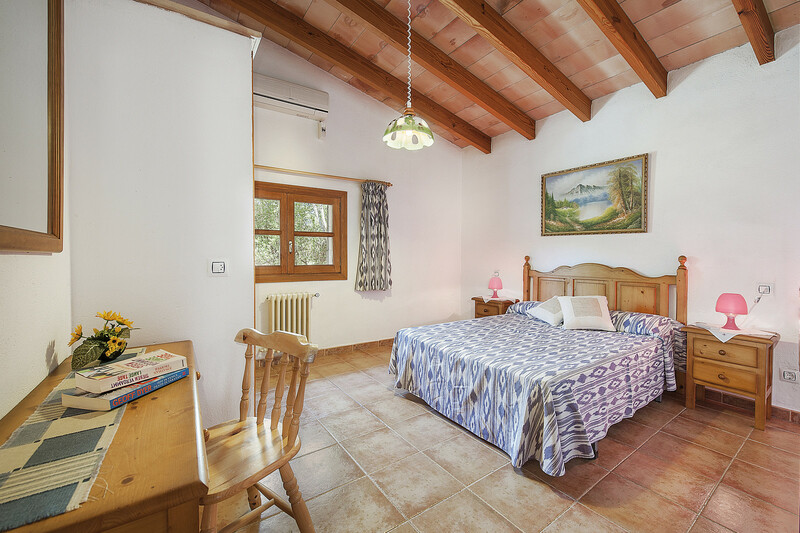 To the left of the lounge leads to an inner hall to the right is a complete bathroom, infront is a double bedroom with fitted wardrobe and to the left is a twin bedroom with fitted wardrobe. 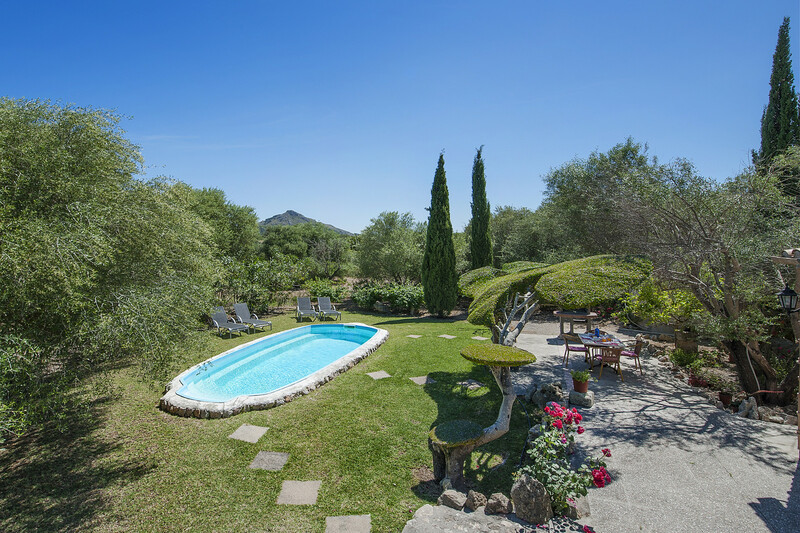 The delightful pool is located at the back of the Villa a stepping stone pathway leads you to the pool from the terrace which is surrounded by lawn on three sides and set in natural gardens with established trees that allows the pool area an ambience of both tranquility and semi-seclusion. 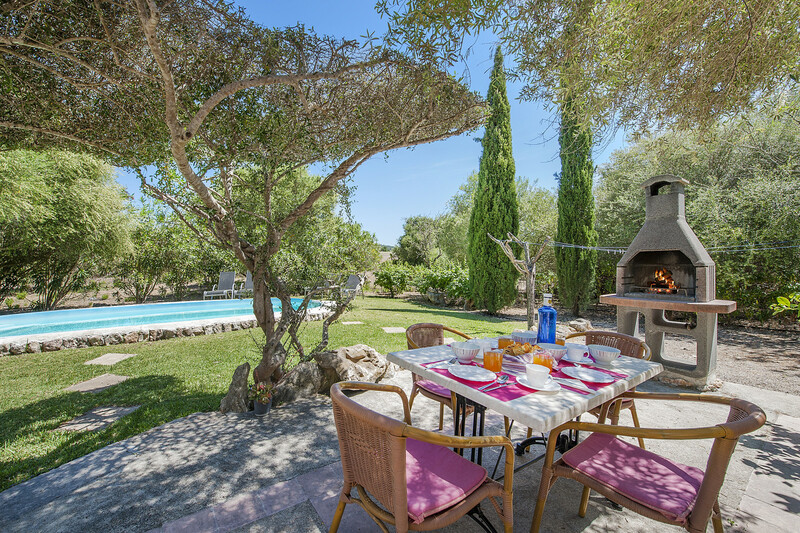 There is a stone freestanding BBQ adjacent to the pool and terrace area, ideal for al fresco eating in this pretty area, with shading from the trees in the heat of the day. 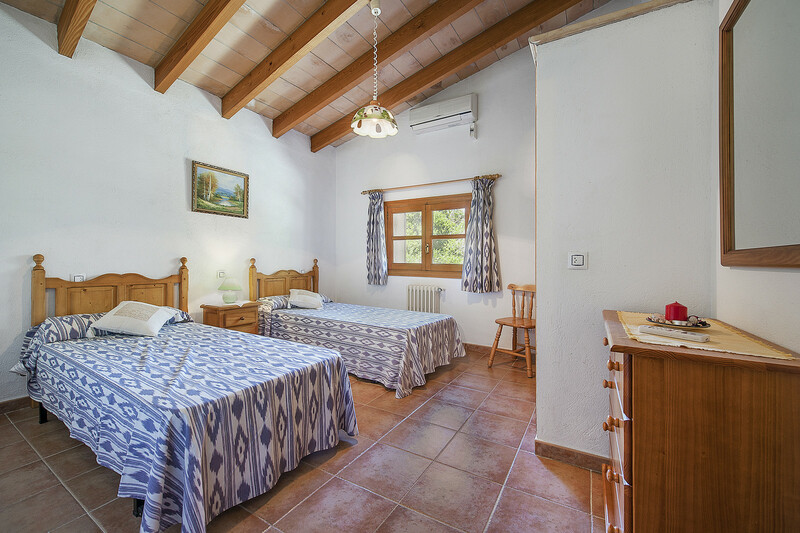 Villa Xanet Petit is a comfortable villa nicely decorated throughout, with its kitchen and dining table in light honey pine, curtains and bed covers decorated with local Mallorcan style fabrics, traditional high beamed ceilings, and soft comfortable beige coloured sofas in the lounge. 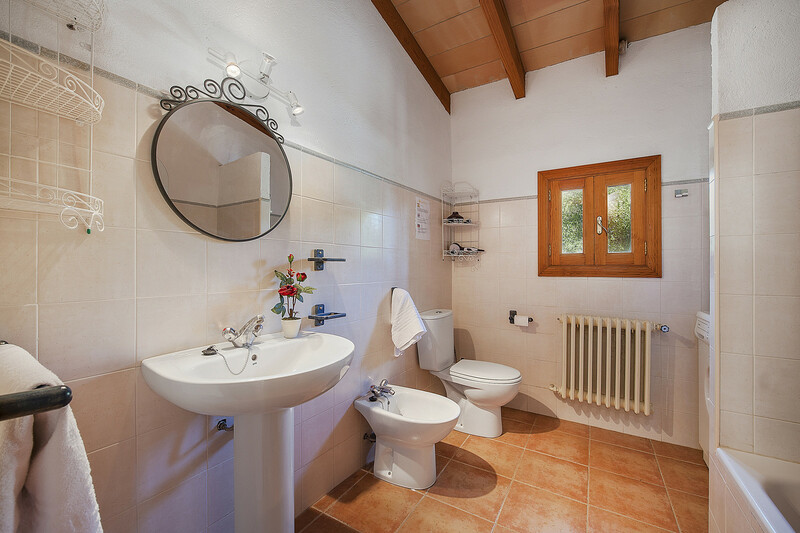 Villa is perfect for couples or small families, its location affords countryside views including the mountains beyond.